It’s time to make those New Year’s Resolutions, and if you’re a smoker, what could be better than starting off the year without cigarettes? Quitting smoking isn’t easy, of course, and many people with good intentions fail because they try to stop cold-turkey, without a solid plan. It can be done, however, with research and preparedness, and essential oils can be one of the tools in your arsenal. Now, no one is saying that aromatherapy is some sort of magical cure for quitting smoking, but there has been some intriguing research which shows it can help. In the book Clinical Aromatherapy: Essential oils in Practice, the author writes about studies in which one group of smokers inhaled Angelica after a meal and another group of smokers did not. The group that inhaled the Angelica did not feel the need to smoke for almost an hour and the group that didn’t inhale the essential oil couldn’t wait for an average of two minutes. All of the smokers still had cravings, but the oil aided the smokers who used it to wait for a longer period of time then the group who didn’t use it. Clove oil can have similar effects on cravings. When you feel the need to light up, inhale deeply and wait a few minutes for the craving to pass. You can use the Germ Buster blend in the same way. Germ Buster contains many of the oils found to help with cravings and ease symptoms. You can also make your own “Stop Smoking” blend at home: blend 5 drops Clove oil, 5 drops Orange, Lemon, or Lime essential oil, 5 drops Chamomile, 5 drops Helichrysum, 10 drops Lavender, 10 drops Marjoram and 15 drops Grapefruit. This blend will calm raw nerves, ease cravings, refresh you and help to balance your mood. Use with a portable inhaler or diffuse into your living space with a candle or electric diffuser. To help with anxiety and irritability, diffuse lavender or chamomile in an electric or candle diffuser. You can also use either of these oils in massage oil on the back of your neck or your chest to reduce these symptoms further. The combination of peppermint and lavender will help with headache and appetite control. Diffuse in the same way or use a portable inhaler. Another easy, and pleasant, treatment is to combine a few drops of Ylang Ylang in a tablespoon of massage oil and rub into your feet before bed. Ylang Ylang will treat anxiety and help with cravings. It can also be inhaled alone to ease daytime cravings, as well. Well, when it comes to something like quitting smoking, there’s no way to guarantee that any one thing will work. We shared the research on it because we feel like every little bit helps when you’re trying to break a really difficult habit. If you do go ahead with it, we’d love to hear your client’s experience with it and we wish her the best with quitting! Did anyone ever reply to your question? Did you try it on your friend? If so, did it work ? We’d love to hear back from you about it. Thanks! So you take the info and run and can’t post an update? Shark. Would like to stop smoking. That is such a wonderful idea. Thank you so much for sharing it! You only crave a cigarette for 5 seconds, if you can keep yourself and your mind occupied for that 5 seconds, those 5 seconds get further and further apart until the nicotine is out of your system. It is mind over matter, you have to want to quit, but I can say, living with essential oils, everyday helps, the benefits and the detoxification of some of the oils, will help purge the nicotine from your system, much faster. A drop of Clove oil on the end of you tongue, helps, do your research, oils are fascinating and it is amazing what you will learn, have a great day. What kind of inhaler and where do you get it? I stopped smoking three days ago. Each time I quit smoking I experience restless leg, tremors and body twitching which wakes me up. I then struggle to get back to sleep. I don’t even feel like a cigarette at all during the day but it’s hard to cope with these withdrawal symptoms at night. Does anyone have any advice please? I am following this post because I experience the same issue. I can manage throughout day but evenings and sleeping are torture. 500 mg of magnesium before bed. Just seeing this post. Lavender, Cedarwood and Rutavala mixed with coconut oil and rubbed over feet and legs helped my husband tremendously with restless leg problems at night. You might want to try some of the NRT like the lozenge or patches. 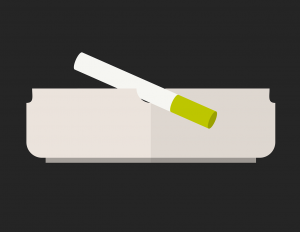 The slow release nicotine patches especially releases nicotine into your body throughout the day so you don’t have to suffer those unwanted withdrawal symptoms. You might also want to go the pharmacy and inquire about the essential oils used to treating smoking. You can add this into a diffuser or necklace and inhale. Try diffusing lavender, vetiver and chamomile at night! Zzzz lights out! Frankencense mixed with organic coconut oil is so good for restless leg syndrome. It is also good for neuropathy. I made an essential oil blend w/ geranium, rose, black pepper, ginger, lemon, lavender, you name it; and I rubbed it all over my body and in my head before bed. In the A.M. I went to go have a puff and I thought I was gonna throw up. I still wanted a ciggie but the thought of feeling so dizzy made me not want it after all. Yes, essential oils work, especially Marjoram – but I get better results when I buy the fresh herb and use it in my soups by the teaspoonful. Hi Gina, whatever works best for you is the best plan! 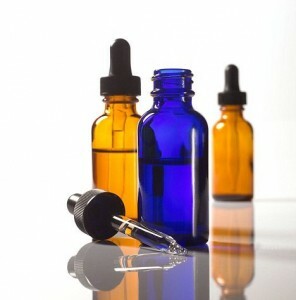 If you continue using essential oils be sure you’re diluting them if you’re applying them topically, as less is more. These are great tips. Essential oils are awesome! Personally, I managed to quit smoking tobacco a while ago using an aromatherapy like vape. It uses essential oils and instead of making me feel like crap, it makes me feel amazing and energized! Check it out here if you’re interested. Either way, essential oils can help people in plenty o ways. 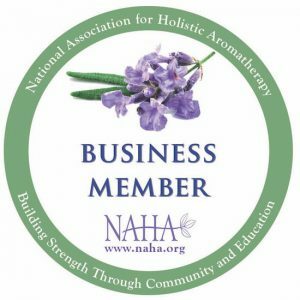 Great insight on using aromatherapy to help in quitting smoking. I wonder if there are more sites that emphasizes on the use of different essential oils for other health conditions that are linked to smoking. I did a cupping cocoon on my husband with this blend, and added black pepper and cinnamon. He can now smell things better, and had problems finishing half a cig. Did it over 5 hours ago and he only had 1 1/2 cigarettes (usually has 1 every hour.). He just fell asleep. He said it works great. Going to do 7 more cupping cocoons then hope the habit is completely gone by then. Giving him some oil to smell when he is at work tomorrow. That is the real test. The blend is good but women that are pregnant can’t have Black Peper, Clove, Lavender type “Lavendula Augustifolia “ Lavender Offisinals is ok”, Grapefruit, Ylang Ylang,. Also people on Antidepressants Can’t have any blends containing Grapefruit as it interacts with Seritonin levels in the brain and those people can have some nasty side effects. I’m a Qualified Aromatherapist & Naturopath and I feel people need to know the consequences before they arise. If your on medications and want to know what oils or food you cantnhave due to an interaction visit the WebMD page Called Medication Interaction Checker. And if your Pregnant, Breastfeeding or have a child under 6yrs then you need to Googling The Aromatherapy Guide Of Toxic Essential Oils that aren’t safe during Pregnancy. Although the following aren’t listed above, here are a few just to demonstrate how common everyday used Herbs, Oils & Blends could be doing more harm than good and can be the cause from abnormalities to death to both mother and baby.